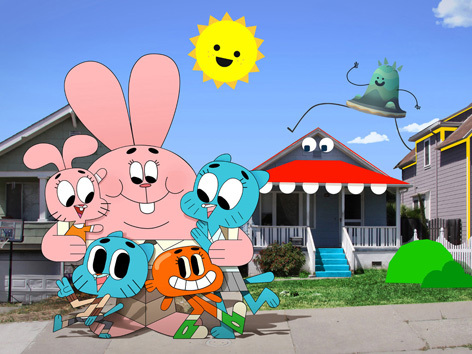 The Amazing World of Gumball was first shown on the UK’s Cartoon Network in May 2011. Aimed at kids aged 6-11, the makers, Turner Broadcasting, were so confident of the show's success that they approved a second series of forty episodes for production before the first was even shown! • Principal Brown (the head teacher at the Gumball’s school).